Elegant bunting to dress your wedding venue from our Scripted Marble collection. Measuring 2.5 metres and comprising 12 rectangular pennants, this high quality bunting is suitable for both indoor and outdoor use. 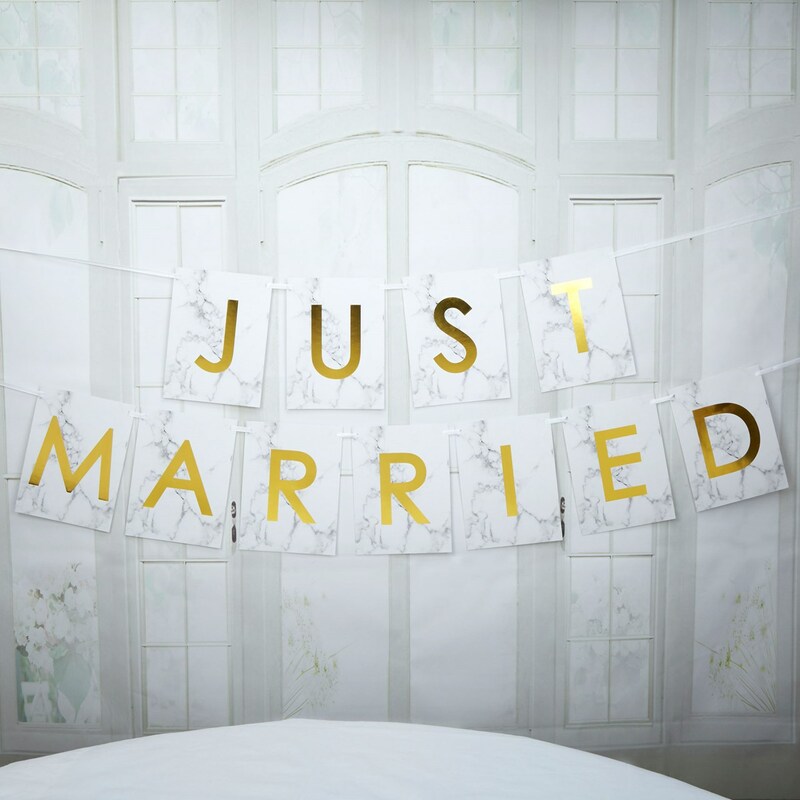 Featuring the collection’s distinctive marble effect design and gold lettering this bunting makes an attractive and versatile addition to your wedding décor.